These captains are located from the Chesapeake Bay Bridge (north) to the upper reaches of the Chesapeake Bay, including the Magothy River, Bodkin, Middle River, Back River, Patapsco River and their adjoining creeks. 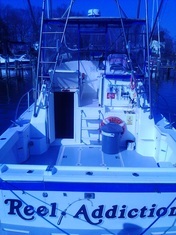 Boats of all sizes are available for charter fishing, cruising and sightseeing to many upper Chesapeake Bay locations, including Baltimore's Inner Harbor. Routes 40 and 95 provide easy access to the fishing boats in this area. Washington D.C., Wilmington, DE, Virginia and Pennsylvania are only a little more than an hour away. The only charter boat that departs from Fells Point in Baltimore's Inner Harbor. 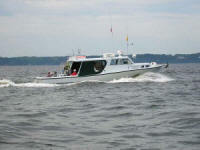 Enjoy Chesapeake sport fishing from Baltimore Harbor. Families welcome. Harbor cruises and site seeing tours available. Capt Don is a full time charter boat captain. 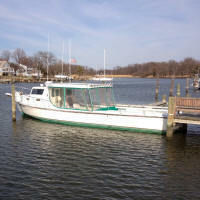 Baltimore Chesapeake Bay Charter Boat fishing - Baltimore fishing charters. Charters from Upper Bay Baltimore Essex area. From trolling for stripers to bottom fishing, Capt Bob can put you on the fish. Capt. Charles T. Reichert, Jr.
Bottom fishing for perch, hardhead, spot and more.